The Moisture Festival is a Seattle treasure. 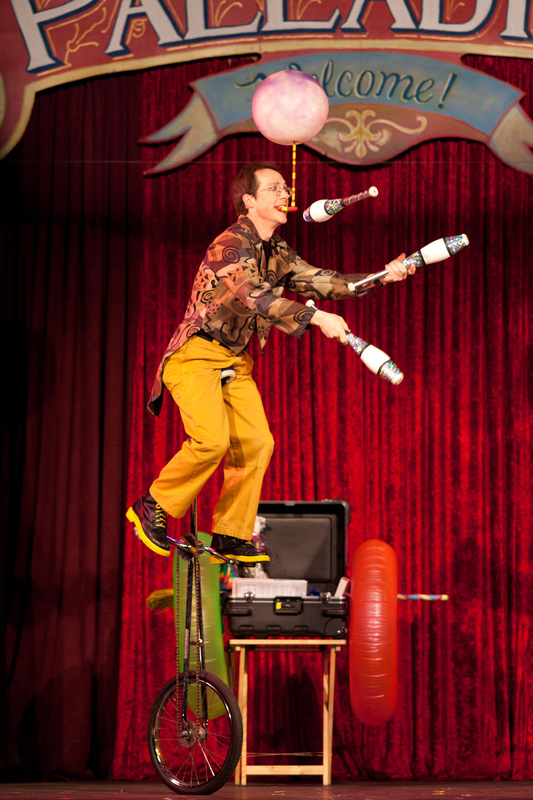 This non-profit Festival is in its 15th year of bringing comedy, variety, and circus arts from around the world to Hale’s Palladium in Ballard. Its mission is “to enrich the community by presenting an affordable annual festival showcasing the art of live comedy/variety performance. ” The shows run from mid-March to mid-April and consist of an ever changing group of artists who perform with a live band in a variety show format. The acts include acrobats, jugglers, magicians, comedians, dancers, rope acts, bubble acts, clowns, acrobats, tap dancers and more. No two shows are identical. As part of their mission, The Moisture Festival also provides a series of free lectures about the rich history of this genre. The shows and lectures are entirely staffed by volunteers who get to do it all; sets, lighting, food prep to feed performers and volunteers, greeters, box office, even housing out of town performers in spare rooms and apartments. The last show of 2018 is this Sunday, April 8th, at 7:30 pm. Dollar Bills! Dollar Bills Everywhere!